Wow, where did 2015 go?! It seems like the days are moving lightening fast, so let me not delay this any longer! 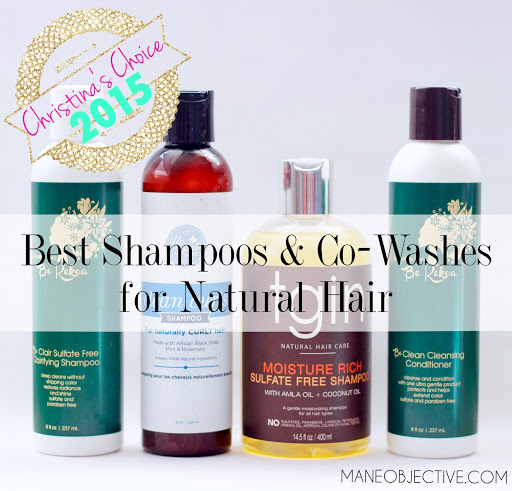 It's that time of the year again folks -- time for Christina's Choice 2015, where I share the absolute BEST of the BEST products that I've used for my natural hair. Over the course of 2015, I've tried a lot of products -- some good, some bad, some stellar, and some that I'm just better off not mentioning. This year, I'm also doing something a little different. I'm often asked, "if you had to pick one..." or, "what's your favorite out of all of them? ", and I understand the logic. Nobody wants to go buy 18 different products and spend that kind of money. To bury the hatchet for once and for all, in each category I'll be sharing what's called my "Deserted Island Award" pick -- as in, if I was going to be trapped on a deserted island, and could only take ONE product from each category, it would be that one. Hopefully, this helps somebody with their #productjunkie budget! Without further delay, allow me to introduce to you the best of the absolute best shampoos and co-washes for natural hair! Earlier this year, Be Kekoa came in and changed my life. Like, switched my whole wash day mindset up. Up until this year, I was under the impression that wash day would always involve some sort of struggle, or eat away hours from my day. Be Clair completely shifted that expectation, especially when it comes to what a shampoo can do. Be Clair is one of the slippiest shampoos I've ever tried to date. It provides a deep clean, and gives a wonderfully invigorating scalp tingle. Most of all, I love it because it doesn't dry out my hair. When it comes to clarifying shampoos, Be Clair sets the bar. High. 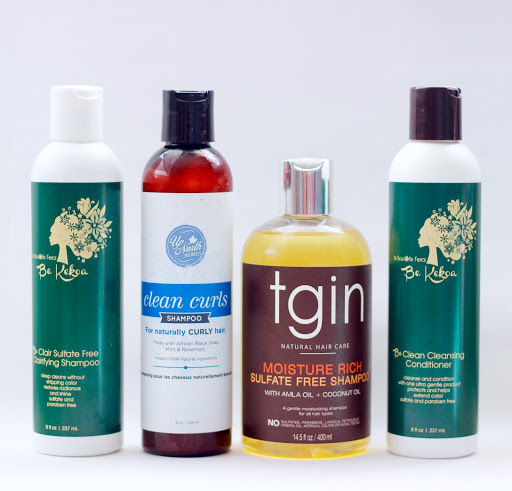 tgin's Moisture Rich Sulfate Free Shampoo has made my list 2 years in a row, so you know it's a top contender! This shampoo has, and continues to live up to its name. It's the perfect shampoo if you're one of those naturals who is skeptical or has been burned by shampoos in the past. It doesn't strip or dry the hair out, lathers nicely, and has good slip. I could go on and on about the reasons why tgin's shampoo is here on this list, but after rocking with this product for over 2 years, I think you guys know by now! Annnnndddddd it looks like we've got a newbie in the category, folks! I got my hands on Up North Naturals products (review coming soon, I promise) on the tail end of 2015, but the Clean Curls Shampoo made SUCH an impression that I had to include it. It's a ridiculously great shampoo, and it's completely natural. Clean Curls is the perfect shampoo for the African Black Soap fanatic, and the natural who insists that shampoos be free of all types of sulfates (even the ones that have been changed/re-named to be less drying). It goes toe-to-toe with Be Clair in terms of slip, and leaves hair clean, shiny, and de-frizzed. Up North Naturals definitely came out the gate with a winning shampoo, and I am a huge fan. It ousted another fave from the list, and rightfully earned its spot at the top! Be Kekoa Be Clean Cleansing Conditioner! Why: Truth telling time: ever since Bae Clean strolled into my life around February 2015, I I have not used another co-wash or cleansing conditioner. I've experimented with a few others that companies sent, or that I purchased to test out, and they all disappointed or paled in comparison to what Bae Clean offered. My love for Bae Clean runs deep, so much so that I don't even bother with 8oz bottles (unless I'm traveling). I stay stocked with the salon sized bottles, because it is the ONLY co-wash I use on my curls. When I'm down to my last salon bottle and it's halfway empty, I start having heart palpitations. You can call the Be Kekoa salon and they'll tell you -- Christina will drive to Temecula for some Bae Clean. And then have the nerve to get 3 bottles. You can even ask my sister, I make her get her own. I'm very generous with giving product to friends and family, except when it comes to Bae. I don't play with Bae. What shampoos and co-washes are winning with you as we go into 2016? Let me know in the comments below! Up next: deep conditioners! Yasssss! Thank you for the review! I was just thinking which shampoo to buy. Find for girls! Thanks for the cosmetics review and for such a useful blog with a mass of necessary women information. Beautiful blog this is my best hair seriously my friend good job. I like this brand. My friend gave me shampoo and conditioner for my birthday last year. I am 100% at your back for this road safety forum you are having. It's a great way of instilling to the people the value of safety when on the speedypaper review road and thus, preventing any accidents from happening. In our country, the rate of minor road accidents seems to rise so this forum would be helpful especially if attended by people mainly using the road for transportation. It's my favorite brand of shampoo. The green one is the best. I want to present it for a birthday for my friend Nancy. She works on original-writing.com, and she is a professional writer.